La Soñador ~: Our Prayers for Kent Hovind's Family, And Yours! Please pray for Kent Hovind's family. Divorce has been filed and Kent is being evicted. They have been through so much and it is no wonder that they have HURT HEARTS! YHWH can heal them. YHWH can restore. 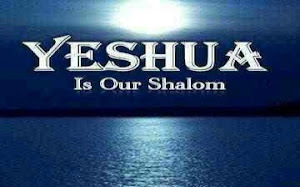 YHWH can fill them up with love and forgiveness and renewed vision for their union and for their family. DO NOT let the enemy win! If your family is facing this struggle, if it looms at every fight or disagreement, if it lurks within your heart, DO NOT LET THE ENEMY WIN! The enemy wants you to be broken. The enemy wants you to lose your fellow warrior and defender, the hand that can lift you up when you fall. The enemy wants you to think there is no hope. THERE IS HOPE! Submit to YHWH and His word. Pray for His perspective daily, until you SEEEEEEE what He sees. It might not happen overnight. But I promise you HE WILL ANSWER and HE WILL RESTORE if you submit.